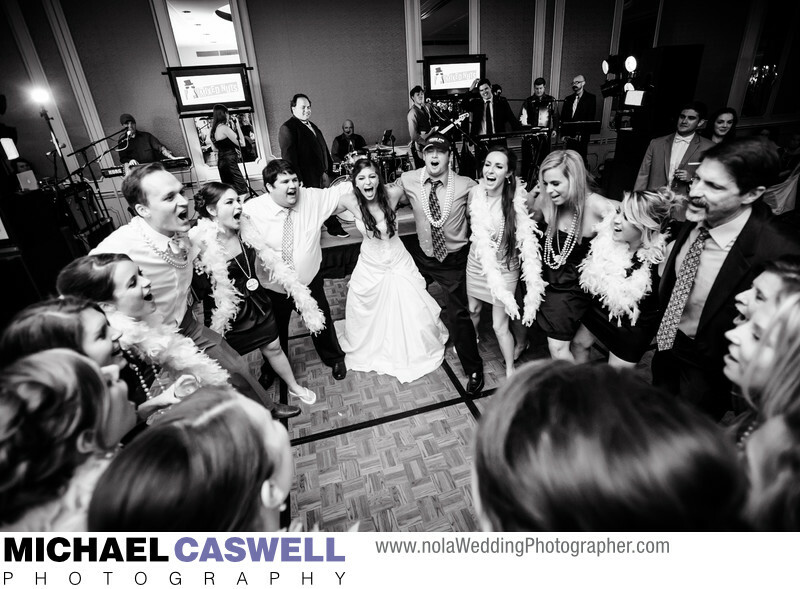 The bride and her friends are having a great time as they sing along with the Mixed Nuts band toward the end of the night during this wedding reception at the Omni Royal Orleans Hotel's spacious and elegant ballroom. This exceptionally fun band gained prominence in the 1990s with performances at various Louisiana State University functions in Baton Rouge, and later branched out to weddings and other special events. They frequently make appearances at events in New Orleans and casinos across the Gulf Coast.